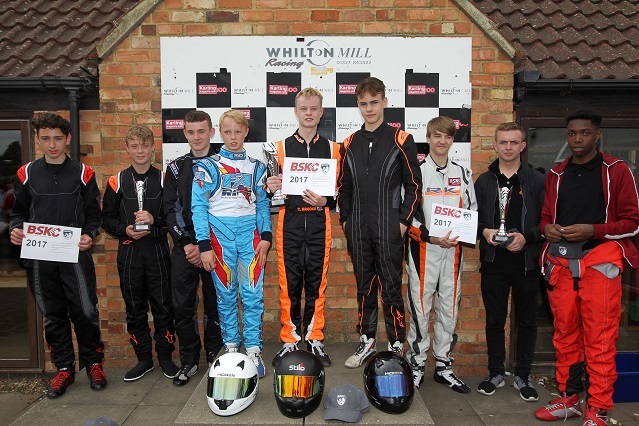 After ten competitive races on the day, the team of three students from The Brentwood School A were crowned the British Schools Karting Championship (BSKC) 2017 Champions in a thrilling National Final at Whilton Mill in Northamptonshire on Saturday 1st July. Brothers Callum (16) and Ethan (13) Brooks and Iaroslav Kovalev (16), who are all students at The Brentwood School, beat 25 other teams to retain the title won by the school in 2016. Callum and Iaroslav were both members of last year's victorious team and they were joined by impressive newcomer, Ethan, in this talented team. Honours in the individual races were shared amongst all four nations competing in the event. Dyffryn Taf (Wales) started the competition in fine form by romping home in heat one and followed this up with another win in heat five. Next to take victory was Belfast Royal Academy A (Northern Ireland) in heat two before the team from Sir Thomas Rich's upheld the honours for England in heat three. Not to be outdone, the Scottish teams then came to the fore with Williamwood High School winning heat four and Woodmill High School taking the spoils in heat eight. After a consistently solid start to the competition, Brentwood A put the pressure on with a fine win in heat six but, not to be outdone, the Brentwood B team came home first in heat seven. In the closest finish of the day, The Badgers Gold narrowly held off the challenge of Southend High School for Boys in heat nine before Brentwood A signed off in style with a dominant victory in heat ten. "The racing is so close" said a happy Callum Brooks from the winning team "BSKC gives you the benefit of a championship without having to commit to too many rounds. Team Captain (and the nervous mother of two drivers!) Mrs Brooks commented "BSKC is a fantastic opportunity as it is very affordable. The karting world is one of those places where it is very expensive and I think without BSKC no way would these three boys standing here get to compete at national level." The prize for winning the National Final is a VIP visit to the Dunlop MSA British Touring Car Championship event at Silverstone in September. Here the students from The Brentwood School will enjoy an action packed day as they are guided behind the scenes in both the BTCC and Support Race Paddocks. Students Matthew Collings, Lee McLean and Alexander Spriggs from Woodmill High School finished runners-up in their first year in the competition and third place on the podium was taken by Silverstone UTC C with drivers Levi Anderson, Ben Lewis and James Whitaker. 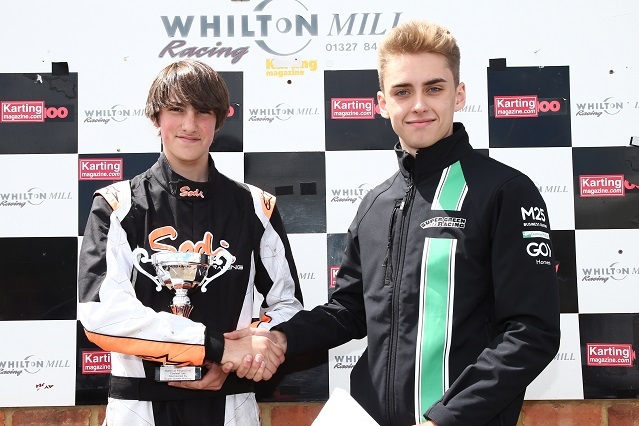 The prize generously donated by Ginetta Cars for the highest placed driver holding a racing licence at the level of Karting National B or higher in either 2015, 2016 or 2017 was won by Matthew Collings of the second-placed team, Woodmill High School. He wins a free entry into the 2018 Ginetta Junior Scholarship which will see one budding racing driver win a fully funded season in the 2018 Ginetta Junior Championship. Sam Cunningham of The Badgers Gold set the fastest lap in the National Final in heat nine with a time of 45.843 seconds and he will enjoy a day at a BTCC event with supergreenracing.com who have been great supporters of BSKC since their driver, Ben Green, was part of the winning team from Debden Park High School in 2014. New for 2017 was the awarding of two Driver of the Day awards courtesy of Club 100. Impressing the judges were Sam Hudson of Gordon's School B and Iaroslav Kovalev of Brentwood A.
Adrienne Watson, Championship Administrator, remarked: "Our congratulations to the winning team members from The Brentwood School who all contributed to a fanastic result for their school. All of the teams here at Whilton Mill should be proud to have reached the final having fought off stiff opposition in the local and regional finals. We are very grateful to the teachers and parents who give up their time to mentor their teams all the way through to the National Final. The full results of the BSKC 2017 National Final can be found at www.bskc.co.uk/results/2017/1377. The BSKC will return in 2018 so schools should start planning their entries now ready for when the competition is launched on the website, www.bskc.co.uk, in the autumn. 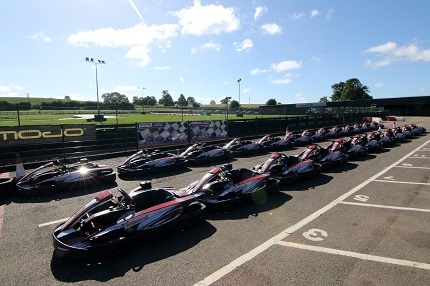 Students from all corners of the United Kingdom will travel to Northamptonshire on Saturday 1st July to pit their wits against karting rivals at the Whilton Mill kart circuit. The aspiring F1 drivers will go wheel-to-wheel with the aim of being crowned British School Karting Champions 2017. The 26 teams of talented racers, aged between 13 and 18, have secured a place in the National Final after achieving success in the preliminary rounds held earlier in the year. The Brentwood School A are one of the schools to watch on the day. The school took the title last year and are determined to succeed again this year despite facing stiff competition. However, The Badgers Gold must be considered amongst the favourites to lift the trophy having put in an amazing performance at the North Regional Final where they scored a maximum 100 points. Teams from Northern Ireland, Scotland and Wales will make the long journey in an attempt to grab the title from their English rivals. 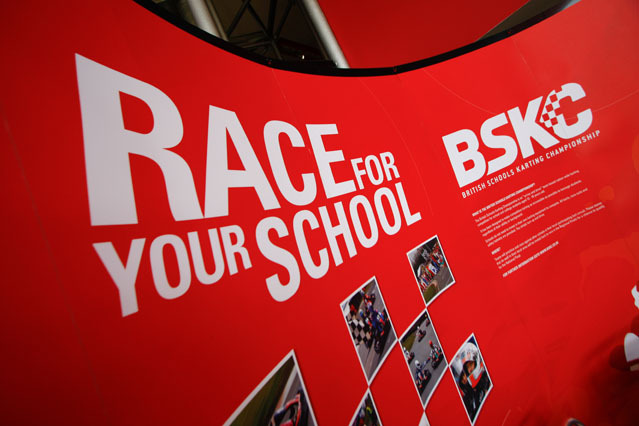 The BSKC is a unique competition that has been specifically developed to inspire future racing champions and give schools a new team sport to offer students not excited by traditional sports such as football or rugby. It offers the opportunity for school and college students to take part in an exciting, nationwide knockout karting competition that does not require previous experience, equipment or substantial expense. The British Schools Karting Championship (BSKC) is pleased to announce a range of exciting prizes for the most successful team and drivers at the 2017 National Final. 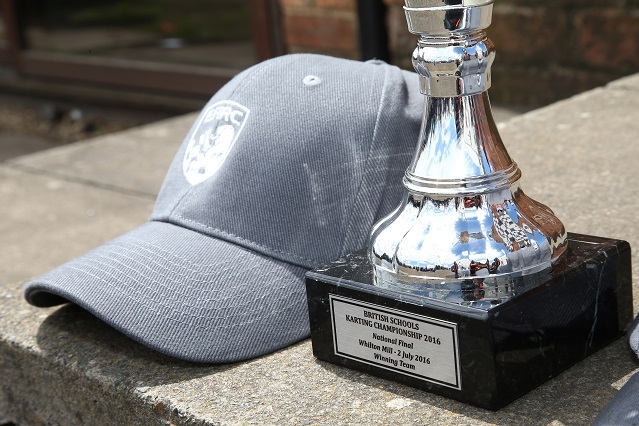 Twenty six teams from across the United Kingdom will compete on Saturday 1st July for the coveted title BSKC 2017 National Champions at the Whilton Mill kart circuit which hosts the event for the fifth consecutive year. The three students from the winning team and their team captain will enjoy a VIP day out at the Dunlop MSA British Touring Car Championship event at Silverstone Circuit on Sunday 17th September. Kindly donated and organised by The British Automobile Racing Club, the prize includes a garage tour with a BTCC team and an opportunity to see behind the scenes in the Race Control Building - a side of the motor sport operation that few people get to see. The prize for the highest placed competition licence holder at the level of Karting National B or higher has been generously donated by Ginetta Cars. The fantastic prize of an entry into the 2018 Ginetta Junior Scholarship competition awaits the winner provided that they meet the entry criteria in terms of age and previous race experience. Last years prize winner, Matt Luff, really flew the flag for BSKC with a top three finish in the scholarship competition so the winner this year has a tough act to follow! Ginetta Cars has kindly agreed to arrange a test drive in a Ginetta Junior or GRDC car as an alternative prize if the winner does not meet the entry criteria. BSKC is delighted that Howard Green and his son, Ben, continue to actively support the championship through Super Green Racing. They will again sponsor the award for the driver setting the fastest lap at the National Final with a trophy and two tickets for one of the events where Ben will be competing later in the year. Bens motorsport career has gone from strength to strength since being a member of the winning team from Debden Park High School in the 2014 BSKC National Final and he has scored impressive wins in the Ginetta GT4 Supercup Championship at both Donington Park and Croft this year. Every team competing at Whilton Mill can consider themselves winners having fought their way through the preliminary rounds to represent their school at the National Final. Ten competitive races on the day stand between them, the title BSKC 2017 National Champions, and the tremendous prizes on offer. It is sure to be an action packed day for them all. Following some exciting Local Finals held at karting venues throughout the country, the first Regional Final was held at the Three Sisters Kart Circuit for students from the North of England. The Badgers Gold dominated proceedings with five race wins giving them the maximum possible score of 100 points. This was an amazing performance in such a competitive environment and installs them as firm favourites for the National Final. The honours at the Regional Final for the Midlands and East were shared by Silverstone UTC (whose teams finished first, third and fifth) and Gordons School who took second and fourth place with their A and B teams. Both schools have experienced standing on the podium at the National Final and will be trying their utmost to secure that elusive win this year. The Thruxton Kart Centre played host to the South West Regional Final with Kingdown A taking the overall honours and securing their place on the grid for the National Final. Kingdown School are great supporters of the BSKC and started the competition with their own Local Final for twelve teams from their school. BSKC are willing to organise private events for schools who enter a minimum of eight teams and it is a great way for schools to encourage students of all abilities. The Brentwood School A were victorious in the London and South East Regional Final. The school won the National Final last year and one of their students, Matt Luff, won the prize of a place at the Ginetta Junior Scholarship as a result of their success. Matt is now competing in the Ginetta Junior Championship in front of large crowds at British Touring Car Championship events and even bigger crowds watching the races live on ITV4. The BSKC allows young drivers to experience the thrill of competitive motor sport and take the motivation and enthusiasm of the racing back into the classroom. The team based Championship attracts all levels of skill from complete novice to those competing in national kart racing. The British Schools Karting Championship 2017 hit the tracks in mid-January with the first of the practice sessions for students. Each student must participate in practice at their local track to familiarise themselves with the karts and the standards required by BSKC before competing against their peers in the Local Finals. Competition in the South West region has been particularly fierce with nearly all of the Local Finals producing some thrilling racing. The three students from Sidcot School (Winscombe) were applauded for winning the Local Final at Bristol in their first year in the BSKC, whilst The Kings School A (Ottery St Mary) came out on top in a particularly competitive Local Final in Exeter. They will join 15 other teams to compete in the South West Regional Final at the Thruxton Kart Centre at the end of April. The Regional Final for the Midlands and East region will be held at Daytona Milton Keynes and will feature Silverstone UTC and Gordons School (Woking) who managed to get teams onto the National Final podium in 2015 and 2016 respectively and will be aiming to improve upon those results this year. This Regional Final will also include teams from RGS Worcester (winners in Birmingham) and Spalding Grammar School who were victorious in Nottingham. The Three Sisters Kart Circuit will host the North Regional Final for the first time since 2014. The Grange School (Hartford) look to hold a strong hand here having taken a clean sweep of the podium at Manchester but their rivals, including three teams from The Badgers (Pontefract), will no doubt be looking to spoil their party! The fleet of karts at Whilton Mill await the best drivers from BSKC 2017. BSKC has traditionally been very strong in the London and South East region and 2017 is no exception. 2010 champions, The Caterham School, and The Brentwood School (champions just last year) are amongst the qualifiers for this Regional Final. They will be joined at Buckmore Park by teams from several schools who are new to BSKC this year and have put in a tremendous performance to qualify. The successful regional finalists will be joined at the National Final at Whilton Mill on Saturday 1st July by the most successful schools from Northern Ireland and Scotland in what should be an exciting finale to the championship. Matt Luff, who together with Callum Brooks and Iaroslav Kovalev formed the team from The Brentwood School that was victorious in the 2016 BSKC National Final, has announced plans to contest the Simpson Race Products Ginetta Junior Championship in 2017 with JHR Developments. The 15 year old from Romford finished inside the top three at the Ginetta Junior Scholarship at the end of last year. Entry into the scholarship was Matt's prize, generously donated by Ginetta Cars, for being the highest placed MSA licence holder in the BSKC National Final. Matt is hoping his frontrunning pace will help him pick up multiple rookie podiums in his maiden year, giving him a shot at the 2017 Rookie Championship honours. He said "After a very successful 2016 in karts I'm looking forward to the move into cars and hope to build upon my success of finishing top three in the Ginetta Junior Scholarship 2017. I'm sure that with JHR behind me I can progress throughout the year and have an outstanding season. Matt follows in the footsteps of Ben Green who was one of the BSKC National Final winning team from Debden Park High School in 2014. Ben progressed to the Ginetta Junior Championship in 2015 and graduated to the Ginetta GT4 Championship in 2016. The Ginetta Junior Championship is the UK's longest running and most prestigious junior series. Offering the first step on the motorsport ladder for 14-17 year old racing drivers, it kick-starts their journey towards racing stardom to a massive trackside audience and millions of fans at home as a support race to the hugely popular Dunlop MSA British Touring Car Championship. We have seen a steady stream of entries into the British Schools Karting Championship since entries opened in September and there is still time to get your school or college registered before the UK's largest schools karting competition hits the tracks. Registration for the BSKC is open until Wednesday 21st December so there are just four weeks to get your school or college involved in the BSKC. 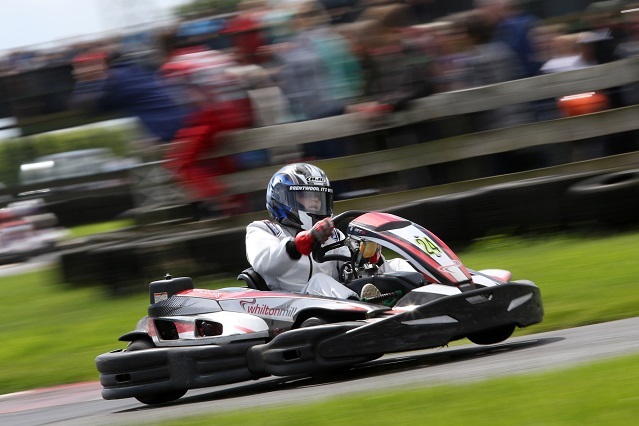 The karts and safety equipment are all provided so that teams just turn up and drive. Although it really helps, no prior experience of karting is necessary but we encourage teams to practice at their local track. Learning the racing line and details of the track will really pay dividends when the competition hots up! The local stages of the competition will take place between January and March. Registration will be open until 21st December but teams are recommended to book early to make sure that their place is guaranteed. We look forward to seeing your team on the BSKC grid in 2017. Matt Luff, who together with Callum Brooks and Iaroslav Kovalev formed the team from The Brentwood School that was victorious in the 2016 BSKC National Final, took part in the Ginetta Junior Scholarship this week. Entry into the scholarship was Matt's prize, generously donated by Ginetta Cars, for being the highest placed MSA licence holder in the National Final. 54 drivers took part in the driving, media and fitness assessments over the three day event, during which each competitor received one-on-one driver tuition. 23 drivers made it through to the finale and were given two runs with limited instruction in which to impress the four judges. After long deliberations, the group was narrowed down to three finalists, Adam Smalley, Toby Goodman and our very own Matt Luff! The trio were given just one final run in which to secure the coveted prize of a fully funded season in the 2017 Simpson Race Products Ginetta Junior Championship. Ultimately it was not to be for Matt and Adam Smalley secured the prize. Triple Ginetta champion and BTCC race winner Tom Ingram said; "It's been another fantastic event, the standard has been incredibly high once again. The final three were incredibly strong contenders and impressed us all." Registrations for BSKC 2017 are now open and will close just before Christmas. Interest in the championship is high and we are hoping to welcome over 200 teams to the grid when practice starts in January. Ginetta Cars will once again be offering the prize of entry into the Ginetta Junior Scholarship to the highest placed MSA licence holder in the 2017 National Final (subject to meeting the qualifying criteria) so hopefully we will see another young driver making the most of this tremendous opportunity to take the next step in their motorsport career. Teams should not miss this opportunity to register for the largest schools karting championship in the country. 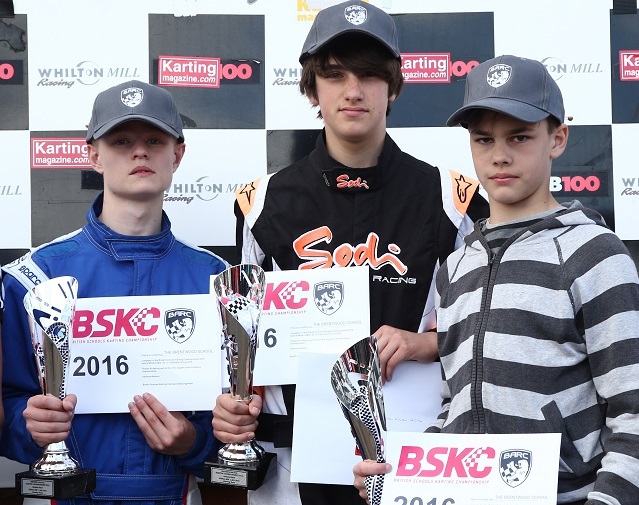 The BSKC was created to make karting more accessible to everyone. It allows students from a variety of backgrounds to actively participate in an exciting team based championship. Register soon and we'll look forward to seeing you on the grid in 2017! 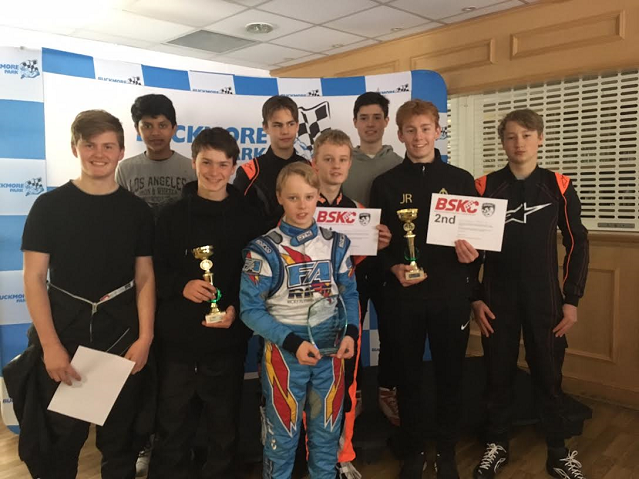 Now in its eleventh year, the BSKC offers students aged between 13 and 18 years of age the opportunity to take part in an exciting nationwide karting competition that does not require previous experience, equipment or substantial expense. The total cost of entry is £180 for a team of three students. This includes the use of equipment and entry into a Practice Session and the Local Final at your selected venue. Teams qualifying for the Regional Finals and National Final don't pay a penny more! Don't forget that we will be pleased to arrange an exclusive Practice Session and Local Final for schools / colleges who enter 8 teams or more. Please contact the BSKC Administrator, Adrienne Watson, on 01295 760742 to discuss your requirements for such an event. Each team must consist of three drivers who all attend the same school or college. All drivers must be 13 years or older on 1st January 2017 and be at least 1.57m (5' 2") tall with shoes on. Only one driver in the team may hold (or have previously held) a racing licence at the level of Karting National B or higher in the years 2015, 2016 or 2017. Registrations will close on 21st December 2016. We have added some new tracks across the country and are also returning to some old favourites so check out your local track at www.bskc.co.uk/circuits and see the dates for the Practice Session and Local Final at that venue.